The Chillida range braves the elements to create architectural steel panels with a striking rusted effect. 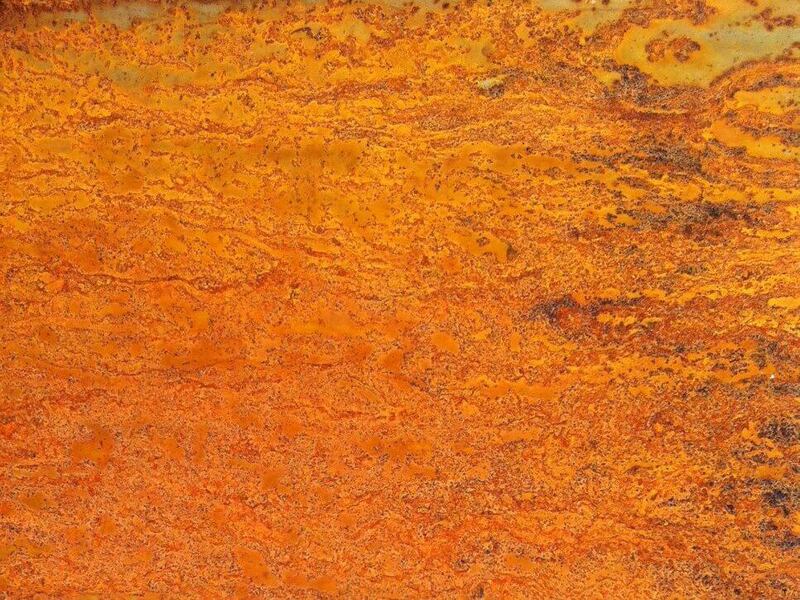 Inspired by the Spanish sculptor, Eduardo Chillida, the range consists of sheets of high quality steel, naturally aged by exposure to the elements over a short period of time, producing a visually stunning rusted panel effect. As each sheet of steel ages differently, no two sheets are alike, providing a totally unique and individual look for each project. After the steel has been sufficiently exposed it is sealed by a matt lacquer, preventing rust transferring from the surface. 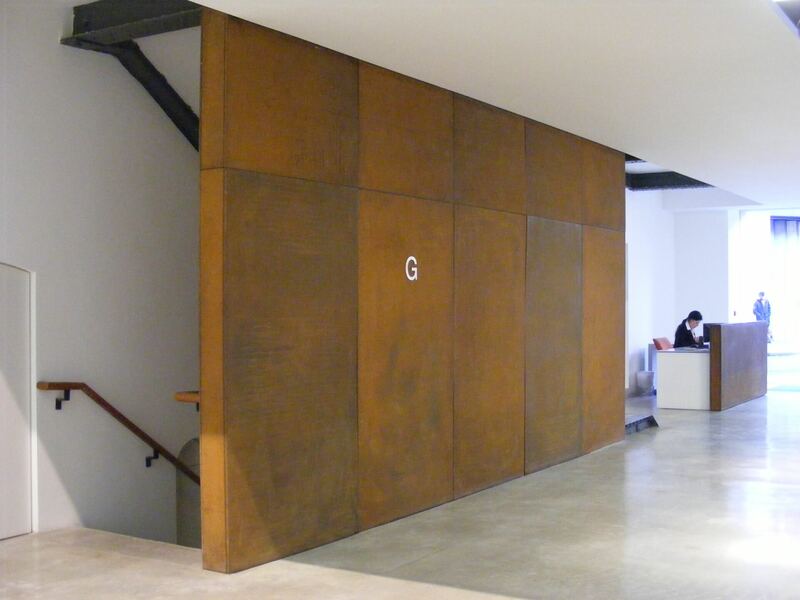 The Chillida range has been utilised successfully in several different applications, including cladding and flooring, as well as being used as feature panels on the front of reception desks. A variety of sizes of steel can be aged to suit any project requirements. Please contact our team of technical experts to discuss exact specifications. *Please note that as each sheet is unique, Mykon cannot predetermine the exact tile finish. Chemically treated steel panels with rusted finish. 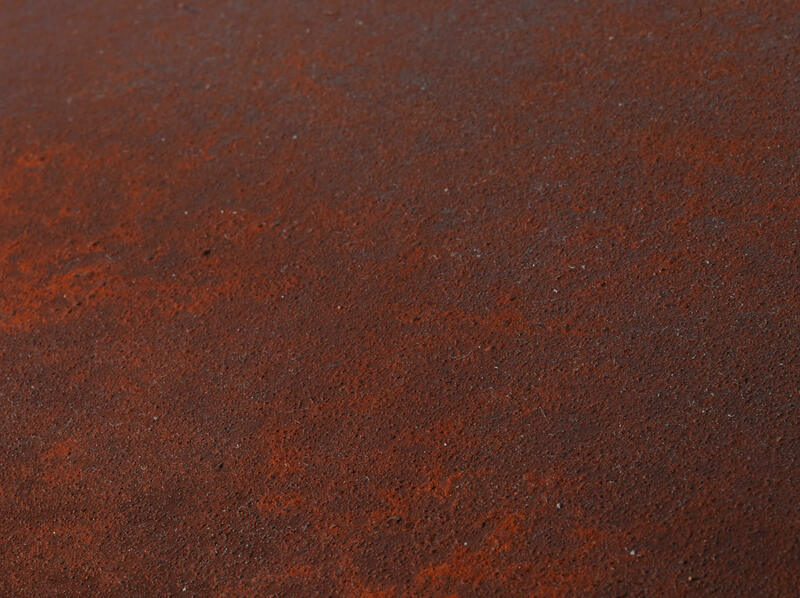 Lacquer is used to protect rust transfer. One of Spain’s most celebrated sculptors, Eduardo Chillida was born on January 10, 1924, in San Sebastián, Spain. Chillida began his career in 1943 studying architecture at the University of Madrid, but in 1947 he turned to art and by 1948 moved to Paris, then the world capital of the arts. Chillida’s early work concentrated on stone and plaster, however he soon abandoned these materials in favour of iron, then wood and then steel. Upon returning to Basque, Spain in the 1950s, his focus turned toward light, landscape, and spatial concerns.